This early-rising shout there met in the Middle Ages the pilgrims, to undertake the following stage of the thousand-year-old route that would take them, following the Milky Way, to the tomb of the Apostle Señor Santiago. 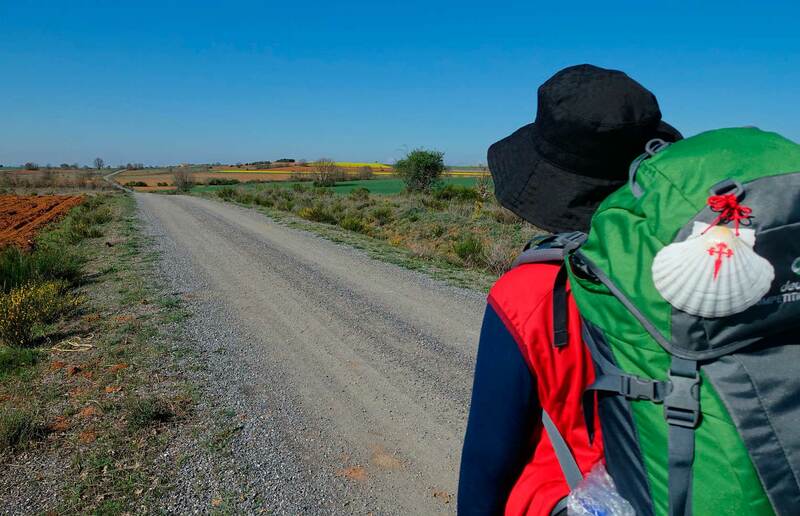 From The Europa’s most remote places they had come, staff in hand, to cross the old continent for causeways, ways and paths, looking for the great Hispanic artery that it was leading to the ” Monte de Gozo ” from where they saw finally the goal “Santiago de Compostela”. “Quatuor viae sunt … ad Sanctum Jacobum tendante” This way it is put in the chapter 5 of the Codex Calixtinus. From the 12th century, when the alleged author Aymeri Picaud wrote ” the guide ” for the pilgrims, our old continent has changed very much. In the great way the ” French Way ” but from the oblivion other routes are arising, where they were covering during pecular(travelling) centuries in way Santiago de Compostela. As the route Catalan that this forgotten enough. In our great epoch people put in way, they finish your peregrination receiving it ” Compostela “, they return to your homes and your lives of every day and remain with certain nostalgia. They have lived through a magnificent experience, have the recollections, but they feel a desire of more. A few friends, of several horizons, we have founded in today, December 25, 2001, a confraternity of veteran pilgrims, friends of the European ways to Santiago. The Spanish saying ” All the Ways take Santiago ” it is our motto to invite peoples of the whole Spain and of the whole Catalonia to join us to promote the first cultural European route in its entirety, with the purpose that we we all will be able to enjoy a new peregrination, discovering new horizons jacobeos. Created in the intention of knowing and sheltering a center of leisure with people who shares, take part and answer to the interest of spreading the recovery of the original ways of peregrinaje from L’Hospitalet de Llobregat’s city towards Santiago de Compostela. The name of L’Hospitalet de Llobregat’s municipality might come from a small hospital previous to the 12th century placed in the way of Barcelona towards Santiago de Compostela. In addition we are preparing several activities to take them I finish for example: exits to be able to train and become accustomed to seeing the signs of the way, contests of photography, meetings to be able to explain all the doubts that you should have about doing the way and you be able to inform about all the doubts that it you should look alike or that it happens to you, You Have dinner of the pilgrim, as well as also we will have a library with guides and books that you will be able to consult. Besides a panel of suggestions and book of messages we will provide the credential of the pilgrim to others. If you have made along the way and like to join us. If you want to help promote the way from Barcelona. If you want to download a model of our membership application, click the icon. Renewals partners are exempt from photographs and the application because the data and provides the association, but the fee if necessary to make it effective. The renewal period ending on 28 February.